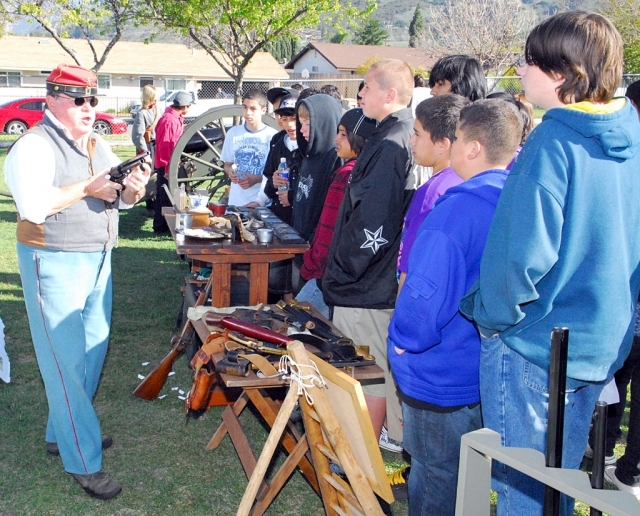 The unique country atmosphere of Piru Elementary has been upset this past week with the demotion of popular principal Richard Durborow, to a teaching position. The Fillmore Unified School Board took action this past week, in closed session, with 5-0 voting to end Mr. Durborow’s role as principal at Piru and move him to a classroom position. A petition, with 118 parent signatures, has been signed in support of Durborow, and upset parents filled the board room at the March 10th meeting, protesting the demotion. VENTURA: Santa Paula High School and Ventura College are teaming up to present Junior Parent College Night on Wednesday, March 25 from 6:15 to 8:30 p.m. in the Santa Paula High School auditorium. Parents of high school juniors, especially, are encouraged to attend to receive essential information regarding financial aid, counseling, choosing a college and major, and requirements for getting into college. Sophomore and freshmen parents and students are also welcome. The program will begin in the high school auditorium at 6:15 p.m. Parents and their students will then break into smaller groups to attend workshops (in either English or Spanish) on financial aid and college choices and requirements. These informative sessions will be presented by Ventura College counselors and financial aid specialists and there will be time set aside for questions. Childcare will be available in the Career Center and light refreshments will be served. Please make time to get the information that you and your students will need to make informed decisions about their future. For more information or questions, please contact Glenda Learn, Career Center Director, at 525-4406 ext. 2030. San Cayetano is pleased and proud to announce that one of their robotics teams "Team Blue" won 1st place today for Southern California in the elementary division at the JPL Robotics Competition today. 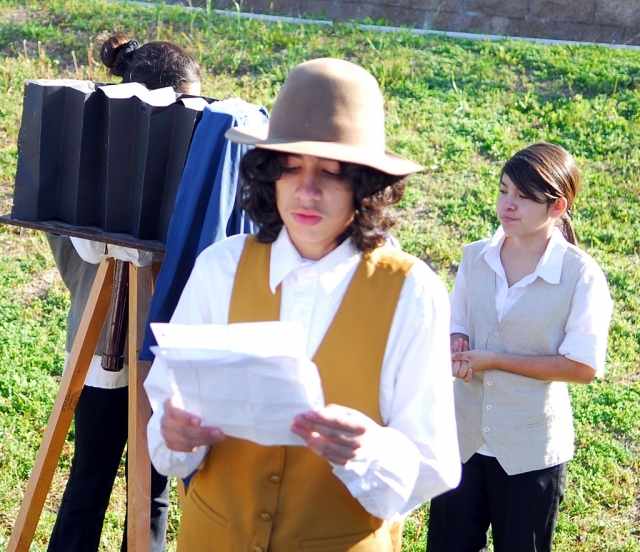 There were twenty one teams entered from elementary school to high school and San Cayetano had the second highest score in the whole competition . . . Go San Cayetano!!! 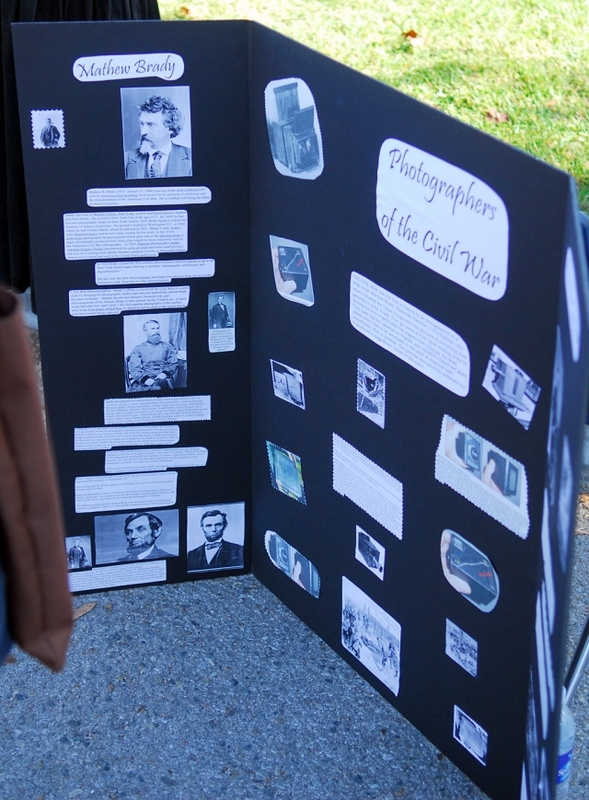 Middle School students enjoyed their annual Civil War Day expositions, Friday. 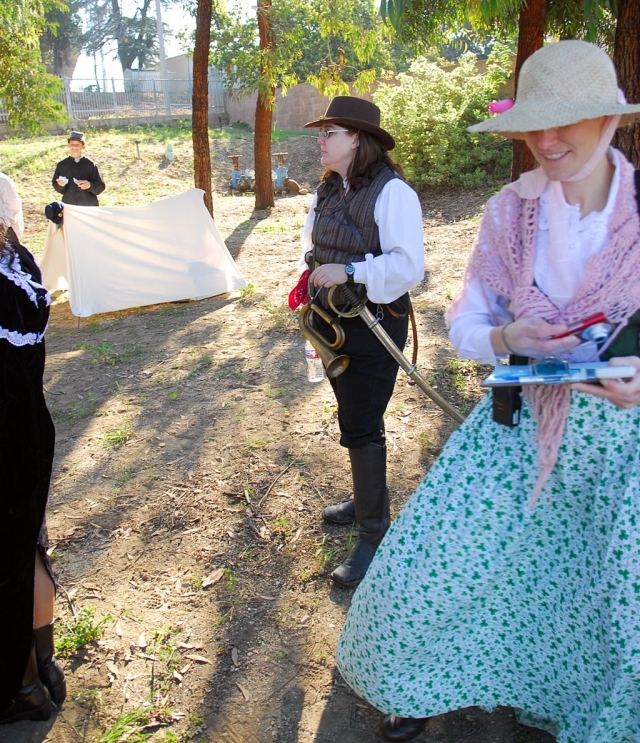 Everything from period food, medical technology, weapons, and camp life were demonstrated. Veronica Morris owner of Water Art Design stands with the San Cayetano Robotics students in T-Shirts that she created for the team. 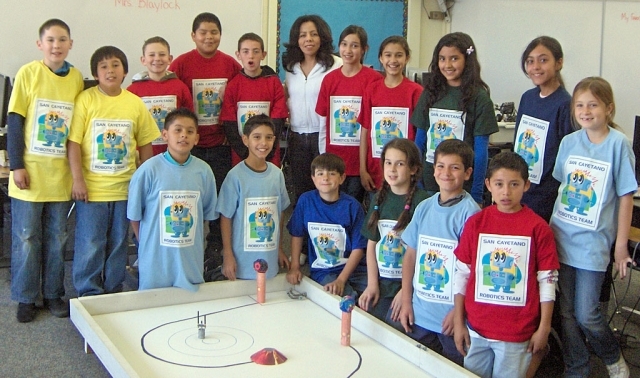 Two teams of four students will compete on March 17th at JPL in Pasadena. The students worked after school starting in January and the students picked which of their peers would represent them at the competition. 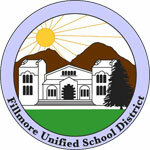 Fillmore Sunrisers Rotary donated funds to take care of transportation and incidentals for the one day competition . This is truly exciting for San Cayetano to be part of this new adventure. March’s San Cayetano Peacebuilders are shown with Fillmore Middle School principal Todd Schieferle. 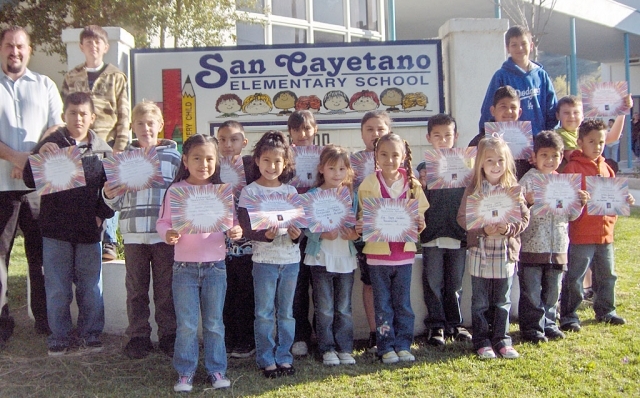 San Cayetano students show off their Personal Success Award certificates. Miranda Vasquez won the Perfect Attendance Award for March. 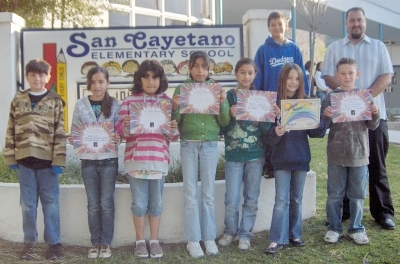 On Tuesday, March 10, 2009, San Cayetano School recognized good citizenship and character at their Peacebuilder Assembly for the month of March. Mr. Todd Schieferle, principle of Fillmore Middle School, came to speak to the students about what a good citizen is and how being a good citizen can help not only the students, but others around them in their community. Roman Torango and Ian Overton, the San Cayetano ASB President and Vice-President assisted Mr.Schieferle in handing out the Peacebuilder certificates. The Peacebuilders for March are: Bailey Dietz, Soraya Negrete, Ray Thompson, Emma Ocegueda, Matthew Henschel, Jennifer Martinez, Mariah Garcia, Eva Vieyra Saldana, Trevor Scott, Shyleen Chavez, Alex Venegas, Jorge Hernandez, Joel Garza, Stephanie Magana, Arturo Garcia, Anabel Herrera,Tyler Stump, Sandra Gonzalez, Abby Sanchez, and Angelica Mercado. At the upper grade assembly, Roman then announced to the students that the Rainbow Foundation is sponsoring the San Cayetano Character Counts Award of a $100.00 savings bond. Sara Uridel, was chosen by the fourth grade teachers as a model of outstanding behavior, responsibility, and kindness to the other students. She was recognized with a certificate and the savings bond. To conclude the assembly, Ian reminded the students to turn in their Perfect Attendance tickets. Each month all students who come to school, each day, on time, are given an orange raffle ticket. The students place their tickets in a box and one ticket is drawn. 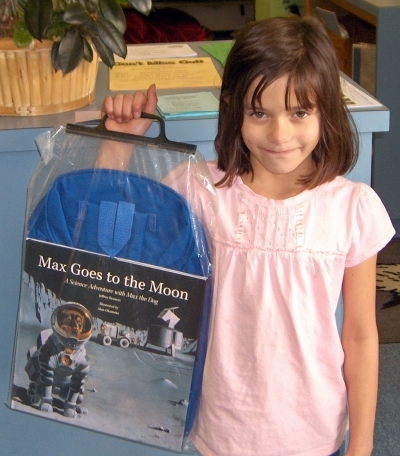 The student whose ticket is drawn is given a backpack full of supplies. Each month, the tickets will be put into a larger box that will be kept until the end of the year. In June, Mrs. Marholin, the principal, will draw from the tickets to give away two new bicycles. Miranda Vasquez won the Perfect Attendance Award for March. The Space Shuttle Café is landing at San Cayetano on March 24th for the Second Annual Family Science Night. Come be part of this fun filled evening of hands-on science activities. This event is open to all local elementary students. 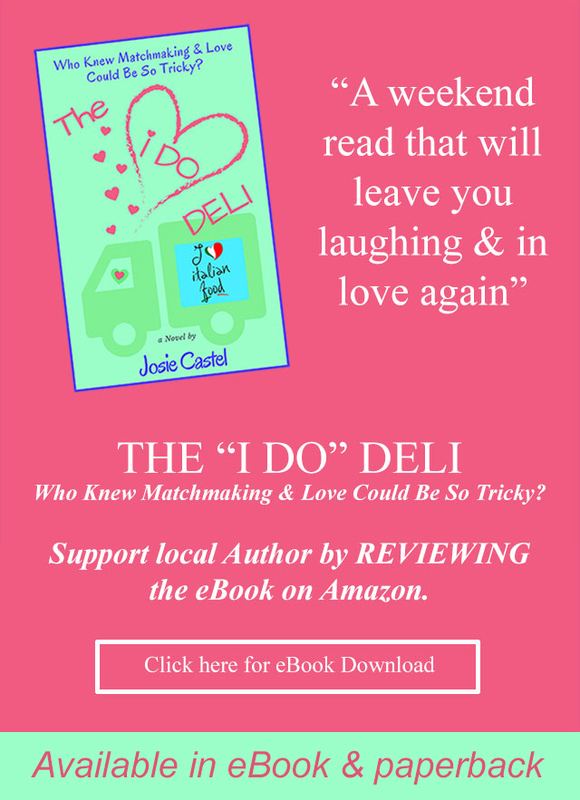 You may pre-order dinners or just buy when you arrive. All of the activities are no cost. This family centered evening is sponsored by San Cayetano staff and the NASA Team. Mountain Vista Parents will host a bake sale at the event. 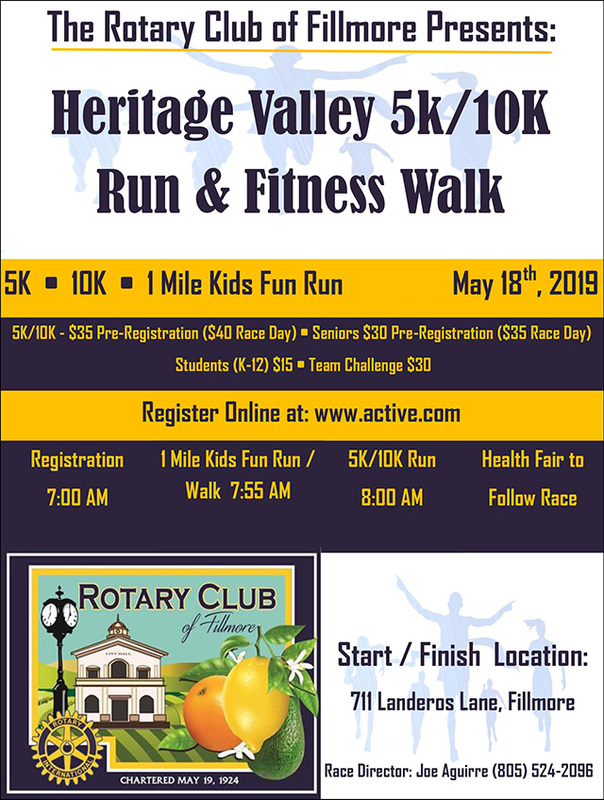 Some of the events include: balloon rockets, human bubbles, gliders, and the following agencies will be here with activities: Ventura County Astronomical Society, Dept. of Water Resources, California Oil Museum, UCSB Physics Circus, Mobile Marine Lab, SBVC Dental Care Foundation, NASA-JPL, United Water Conservation District, California Condor Recovery Program and Channel islands National Park. 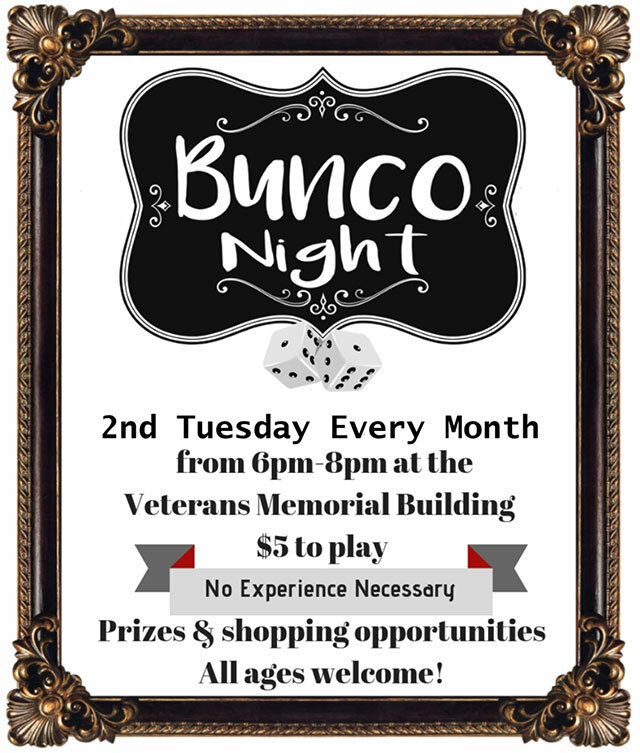 Come join us for a great evening. Dinner begins after 5PM and the activities are from 6-7:30PM. 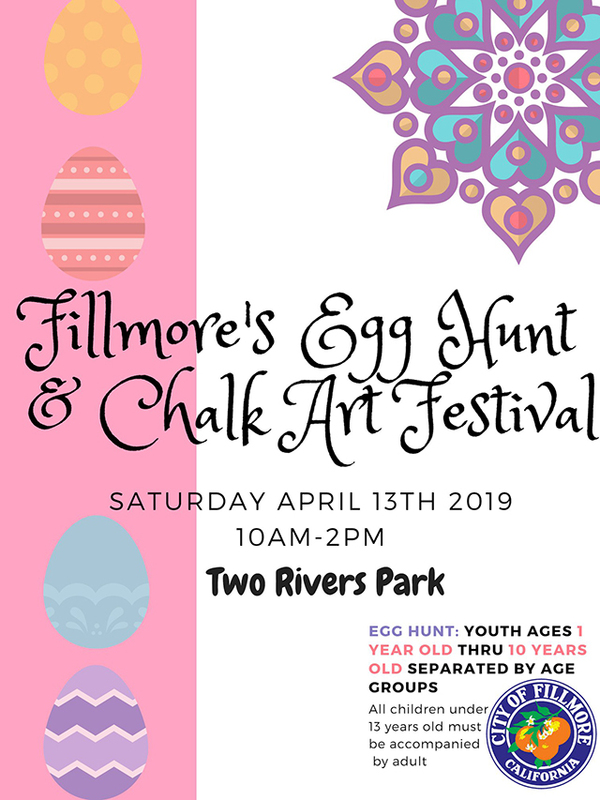 Many parents have chosen to take advantage of the afterschool program, Bridges, offered in Fillmore Unified School District. Now in its third year, the program serves over 400 students, providing a safe place from the moment school gets out until 6:00 PM. It is possible because of the California After School Education and Safety Grant known as ASES. 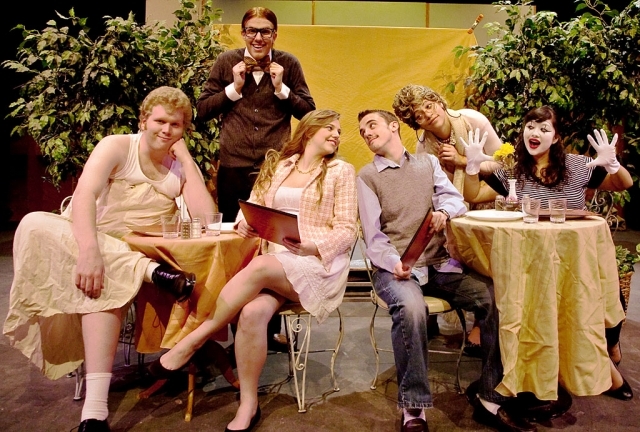 VENTURA: The Ventura College Theatre Department will present four one-act plays directed, produced and acted by student thespians at the Ventura College Theatre on the weekends of March 26 (preview show), 27, and 28, and April 2, 3, 4, and 5. Thursday, Friday and Saturday performances will be at 8:00 p.m. and Sunday matinee at 3:00 p.m. Admission to the final dress rehearsal to be held Thursday, March 26 at 8:00 p.m. is free and open to the public. In addition to the free preview performance, the performance on Thursday, April 2 at 8pm is also free to the public. Tickets are $7.00 general admission and $5.00 for students, staff, and seniors. Tickets are available at the door one half hour prior to each performance. 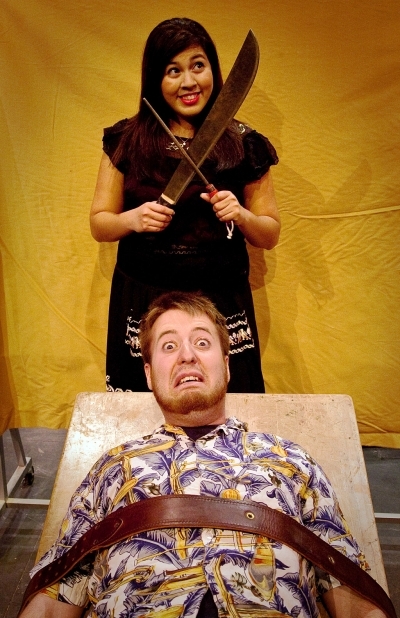 •	Dr. Fritz; or the Forces of Light by David Ives, directed by Kevin Bass, a tourist’s adventurous journey to find the mysterious Dr. Fritz, who supposedly can cure anything. For additional information, call Professor Jay Varela at the Ventura College Theatre department at 805.654.6400 ext. 3194 or by email at jvarela@vcccd.edu. The general information number for the VC Theatre is 805.654.6392. The Board of Education will meet from 5:15 to 6:00 p.m. to consider matters appropriate for Closed Session in accordance with Government Code Sections 3549.1, 54956.7 through 54957.7 and Education Code Section 35146. If the Board does not complete Closed Session discussions at this time, the Board may adjourn to Closed Session at the end of the regular meeting. Deputy Ragsdale demonstrated self-defense strategies to The “S” Club. Fillmore High School has approved a new club for the students, The "S" Club. The "S" Club of Fillmore High School 's objectives are: 1.To be of service to the school and community. 2. To cooperate with school authorities in creating a school environment with high standards and ideals. 3. To prepare members to assume leadership in the business and professional world. The "S" Club motto is Service, Leadership and Friendship. The "S" Club will allow the girls to be of service to the school and the community while developing their leadership skills and building friendships. The "S" Club is sponsored by Soroptimist International of Fillmore. This group of business and professional women is dedicated to causes concerning women and girls! The members of the "S" Club will be meeting and getting to know the women in the Soroptimist Club, as well as networking with other Soroptimist clubs around the country and the world! Now more than ever, girls need the support of the community to be successful. The club is girl driven and there will be plenty of opportunities for the members to use and develop their leadership skills. Our first speaker was Deputy Erika Ragsdale, the topic was self defense. The response from the students has been great. Over 23 girls attended our first presentation by Deputy Erika Ragsdale, the topic was self defense. Deputy Ragsdale was informative, captivating the attending of all the members present. She welcomed questions from the group, demonstrated some self defense strategies and stressed to the girls to always be smart, use our common sense and do things in groups, never alone. The "S" Club will be meeting during lunch time in room 45. Mrs. Juarez is our advisor. Please contact her or Pres. Oralia Herrera at magnoliares@sbcglobal.net with any questions. Come to San Cayetano’s Second Annual Family Science Night on March 24th from 6-7:30PM. 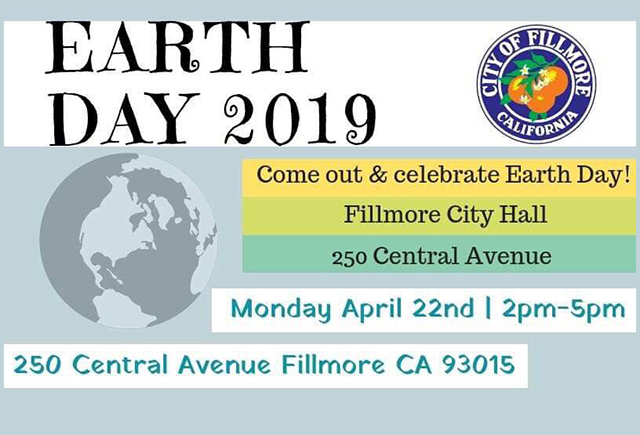 This is a free event for all elementary students in Fillmore and Piru. The purpose is to engage students and their families in free hands-on science activities. The San Cayetano NASA Team and school staff are hosting this great event for the students in our local community. The Space Shuttle Café will be here at 5PM to serve dinners all evening. If you wish to pre-order a dinner, please come to the San Cayetano school office. Come see our science fair, video-conferencing and robotics. Make a balloon rocket and measure and impact crater! These things and much, much more! We look forward to seeing you on March 24th. 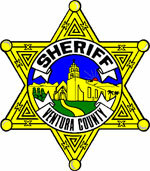 The Ventura County Sheriff’s Office of Emergency Services is continuing its commitment to community disaster preparedness education by reaching out to the schools in Ventura County. this time, the Board may adjourn to Closed Session at the end of the regular meeting. 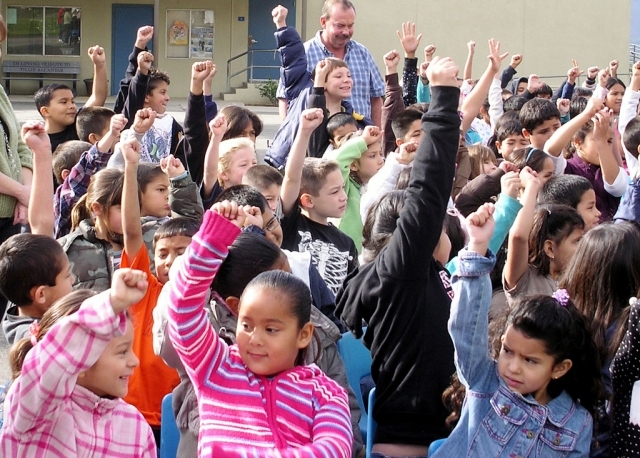 Piru students pump fists to simulate heart beats. Marlene Garcia, Jasmine Vasquez, Xochitl Ruiz, Yulizza Aguilar and Jovanny Figueroa lead the Kindergarteners in jumping jacks. Fourth grade students take turns jumping rope. Sheri Smith from the American Heart Association encourages students to eat healthy foods. Fifth grade students wait in line to see how low they can go. 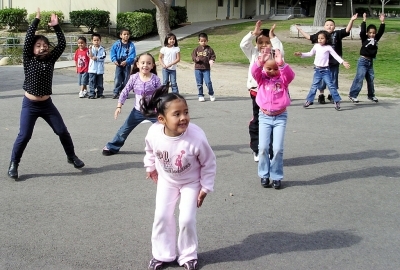 Piru School got a ‘jump start’ on March’s National Nutrition Month last week. Sheri Smith, a representative from the American Heart Association, arrived at Piru School bringing rump rope activities and enthusiasm to promote Jump Rope for Heart. 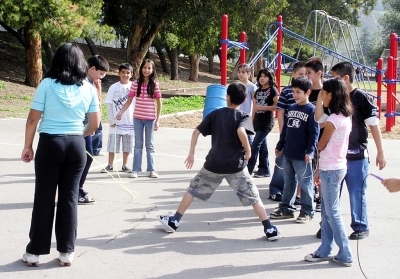 Jump Rope for Heart is a national educational fund-raising program that is sponsored by the American Heart Association and the American Alliance for Health, Physical Education, Recreation and Dance (AAHPERD). Funds raised will support lifesaving heart and stroke research while teaching students the value of community service. First, Piru students participated in a discussion on how their heart works and the value of healthy eating habits. 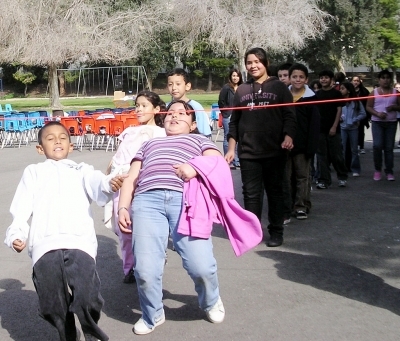 Then the entire school participated in center rotations that included jumping rope, jumping jacks, jumping relays and the Limbo. Sheri not only got hearts pumping but challenged Piru students to eat right and skip soda and chips for the month of March. Students who accept the challenge and succeed will have their names placed in a drawing. A Barnes and Noble gift certificate awaits the healthy winner. As part of their NASA Program San Cayetano has the ability to video conference live around the world. San Cayetano will host its Second Annual Family Science Night and Science Fair on March 24th from 6-7:30PM. Come talk to Steve who will be video conferencing live from the Jet Propulsion Lab in Pasadena! Come experience the Mobile Marine Lab and learn about our local sea creatures. Some of the agencies that will have hands-on exhibits and activities for all students will be: UCSB Physics Circus, Ventura County Astronomical Society, Dept. 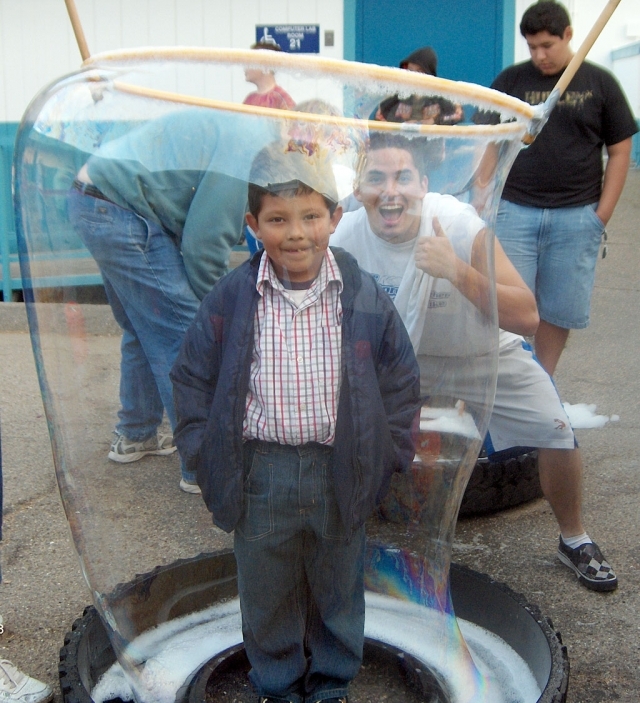 of Water Resources, California Oil Museum, SBVC Dental Care Foundation, Robotics, United Water Conservation District,California Condor Recovery program, Channel Islands National Park and also returning this year are those famous balloon rockets and big, big bubbles! This is an evening open to all elementary students in the community to have fun with their families and learn about science! The Space Shuttle Café will be serving dinner from 5PM. You may come to San Cayetano’s office and pre-order a dinner! We look forward to seeing you March 24th!! There is no cost to participate in the science activities. Applications are now available for the FILLMORE WOMEN'S SERVICE CLUB Educational Scholarships. Any graduating High School Senior who resides within the Fillmore Unified School District and is continuing on to a College, University or Trade School can apply. Applications are available at Fillmore High School or by telephoning Susan Banks at 524-1470. The Grizzly Challenge Academy is now taking applications from students for next semester. 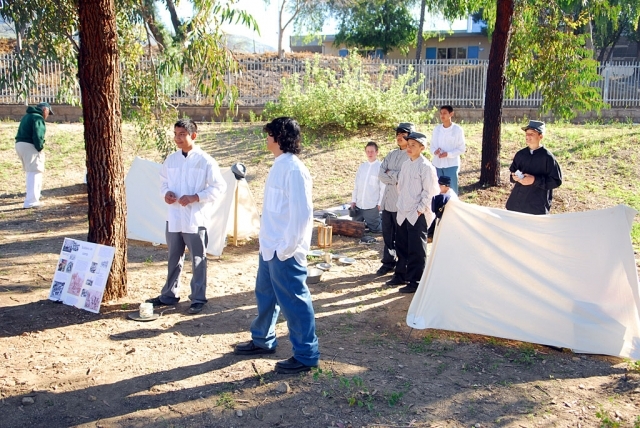 This popular military-style, self esteem boosting program located at California National Guard base in San Luis Obispo admits students who are deficient in credits, have low G.P.A.’s or want to get away from negative influences. The program is 5 1/2 months long and students can earn home passes. Mentors and parents can visit, too. Grizzly is an accredited through Paso Robles School District. A student can earn between up to 45 credits in 5 ½ months time. The majority of students come back with a 3.5 to 4.0 GPA! There are counselors on site, students are taken on field trips and exposed to a variety of community service-oriented opportunities, including helping senior citizens and beach clean-ups. 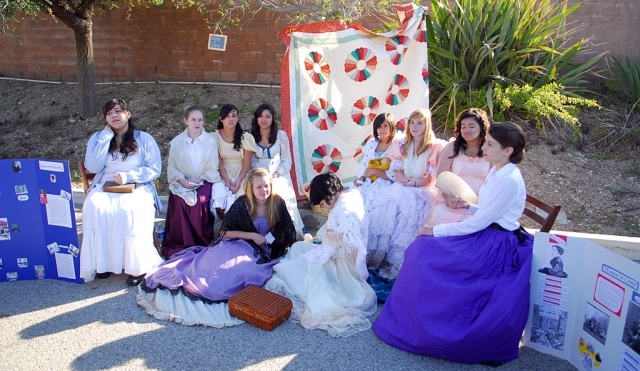 Ventura College is pleased to announce its annual “Art, etc. Yard Sale,” to be held on the Patio between Buildings CRC and SAB (formerly CR and H) on the Ventura College Campus, Monday, March 9th, from 8:30 a.m. to 2:30 p.m.
“Your Junk is Another’s Picasso” is the motto of the Annual Sale, which is sponsored by the Ventura College Friends of the Arts, a non-profit subsidiary organization of the Ventura College Foundation. Membership in the organization includes professional artists from the community, present and past faculty and alumni of the College and any person interested in raising funds for art students. Donate art stuff – anything remotely related to art is welcome. Bring items to donate to Room SAB-1 on the campus on March 8th from 10:00 a.m. to noon. Tax deductible receipts are issued upon request. Come and buy your treasures, cheap! The public is invited and there is no charge for admission. All moneys raised from this sale will go to support awards for the art students at Ventura College. For additional information, call Alisa Moore, Public Information Officer, Ventura College at (805) 654-6462.